You can build a new life for yourself following a mid-life divorce. Surviving mid-life divorce is possible. A number of people who have ended marriages in their 40s and beyond go on to build a new life for themselves. In the United States as well as Britain, the age group most likely to be going through a divorce is made up of those between the ages of 45-54. If someone has already been through a divorce once, he or she may be more likely to leave an unsatisfying second marriage. This may be a case of "once bitten, twice shy." If the second marriage runs into trouble, the previously-divorced person may be more likely to leave. Surviving a mid-life divorce will be easier if you remember a few simple tips. Anyone going through a divorce needs to get professional advice. A middle-aged couple is more likely to have accumulated assets during the marriage. In addition to the matrimonial home, retirement savings, vehicles, and personal property will have to be divided. If there are minor children, decisions about custody and access need to be worked out. One parent may be required to purchase a life insurance policy to ensure that children are provided for in the event of the parent's death. The divorce settlement may include a provision for maintenance payments. Either spouse can be ordered to make support payments to the other. Another tip for surviving mid-life divorce is to get some emotional support. 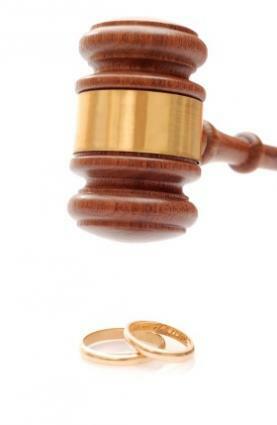 Going through a divorce is a major life change, even if you are the person who initiated the proceedings. Gather your family and friends around you and tell them what you need. Often, people want to help but don't know what to do. The end of marriage is painful. The grief process takes place over a number of stages, and these stages can't be rushed. It will take time, but you will heal. It's probably not a good idea to start dating right away. Take some time to get to know yourself as a single person before you jump back into the dating pool. If you have a clear idea about what kind of relationship you want next time, you have a much better chance of finding happiness. Although many people fear being alone after a divorce, chances are very good that a middle-aged person will go on to have a new relationship after the divorce. The AARP survey found that more than three-quarters of female respondents aged 50+ were involved in a serious relationship. Over 80% of males had established a similar relationship.